Alliance Electronics Ltd was showing its wide array of electrical parts for PSVs. Amongst them was a strengthened indicator switch. The company also supplies Powervamp chargers and power solutions, some of which were also exhibited. A new range of wheel safety products were displayed by Checkpoint, the company known as the world innovators of loose wheel nut indicators. A huge array of LED vehicle lights flashed, blinked or just shone on LED Autolamps’ stand. It products include compact combination lamps, marker lamps, interior lights and strip lamps for various vehicle applications. Tallon Systems displayed its range of socket devices for holding a wide array of items, from sat navs and smartphones to tablets and cups. They can draw power and data for lights and charging electrical devices. 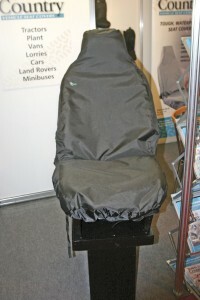 Vehicle seat covers were the focus of Town and Country Vehicle Seat Covers stand. 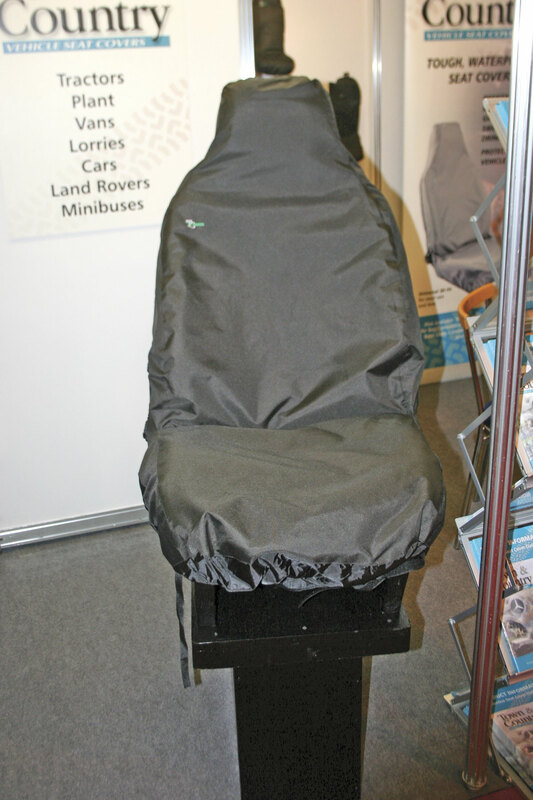 Having had its products fitted to coaches, the company has a large range for minibuses, with covers designed to fit snugly on Ford, Renault and VW conversions, amongst others. Various minibuses were on show at Eberspacher’s stand, fitted with the air conditioning system specialist’s equipment. A Euromotive converted VW Crafter minibus on the stand was fitted with the company’s water based climate control solution and Hydronic DS heater. On show separately was the business’ 420 rooftop air conditioning system. 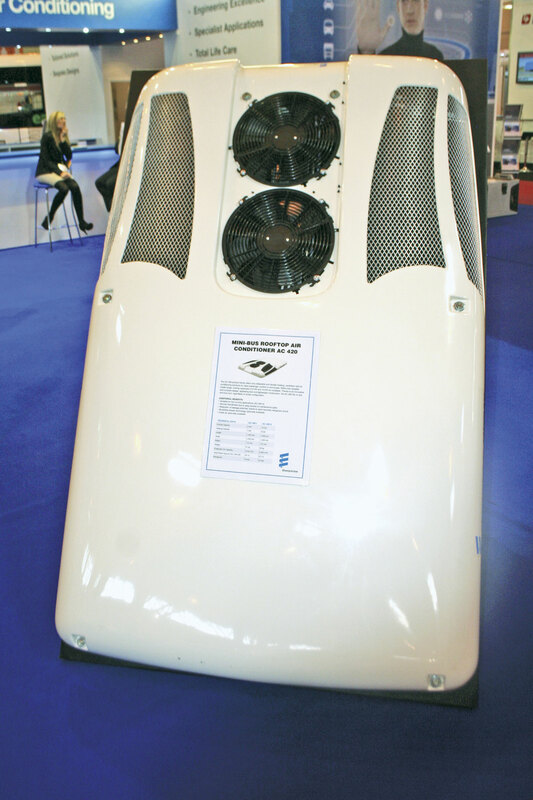 A number of vehicles were displayed on Webasto’s stand, all of which were fitted with Webasto air conditioning equipment. Onboard an EVM converted Mercedes-Benz Sprinter X-Clusive was a Diavia Moscow with 13.4kw cooling power. A Stanford converted VW Crafter CR50 LWB minibus had webasto’s Moscow evaporator onboard, as well as one of the company’s air conditioning systems. A Peugeot Boxer L4H2 minibus conversion from GM Coachworks had the business’s rear saloon air conditioning product fitted, as well as its three speed fan switch. 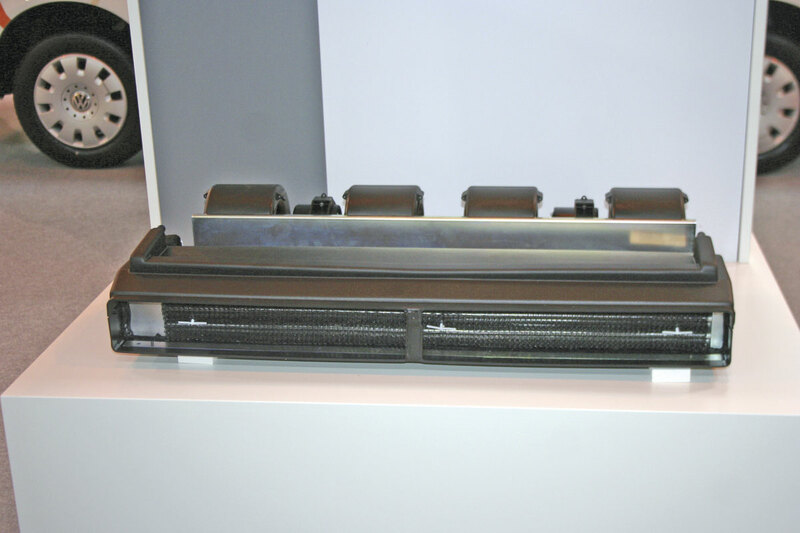 Displayed separately was an example of its Diavia integrated air conditioning system for minibuses. Energenics was displaying its Envirox DPF Assist product, a fuel treatment for regenerating DPFs. The fuel born catalyst is designed to burn off the trapped soot particles that build up in the filters. 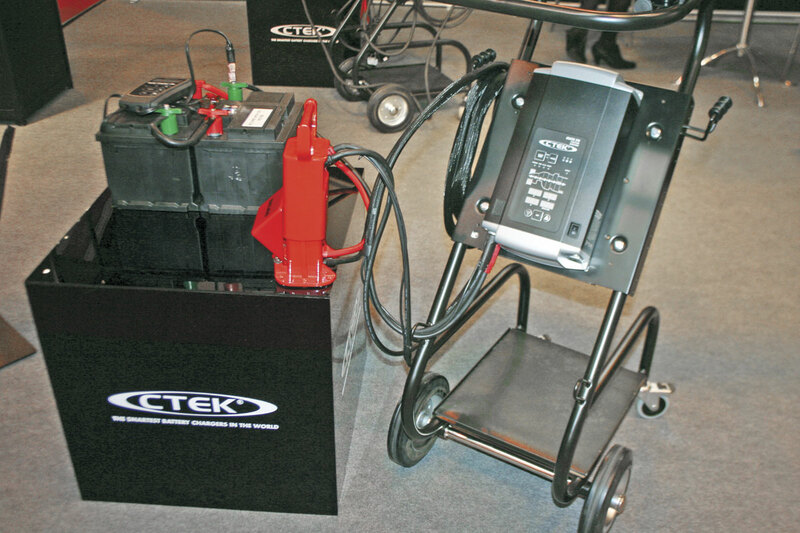 Examples of FuelTek’s range of fuel management systems and equipment was on show. JA Envirotanks’ stand was near enough unmissable, with a full size tank on display. The company provided information on its range of fuel storage containers, pumps and controls. Its patented Envirotank range is manufactured in Birmingham and includes enclosed bunded rectangular and cylindrical tanks that comply with pollution regulations. Launched at the show was Shell’s Fuel Matters 2014 study. This document looked at over 200 managers of UK based transport operators and found 67% single out improving drivers’ fuel efficient motoring skills as the most effective way to reduce fuel consumption. 54% of respondents think tackling the issue could cut fuel bills in half. The company also promoted its fuel card, the euroShell Card. The latest news from fuel management specialist, Triscan, is its recent acquisition of DataTrak Fuel Systems. At the show, the company was displaying the latest in its range of fuel dispensing and management equipment. There was also mention on the stand of some new products set to be launched soon. One of the highlights of Stertil Koni’s stand was the display of its mobile column lifts. In particular, its Earthlift features a patented Active Energy Retrieval System to increase the number of lifting cycles per charge and to raise its green credentials. The cable-free lift also has biodegradable hydraulic oil in its cylinders. The S6 mobile column lift was on show at SomersTotalkare’s stand. It also showed the newest product in its range, the electromechanical PL250-8 Four Post Fixed Lift, which has a 25tonne capacity and an 8m platform. 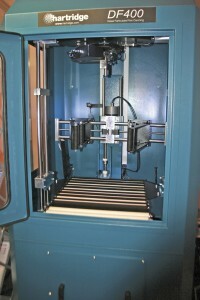 An assortment of garage equipment and ATF (authorised test facility) lane products were shown on VL Test Systems stand. In one of its first public outings was Alcolock GB’s new range of Alcohol Safety Products (ASP). 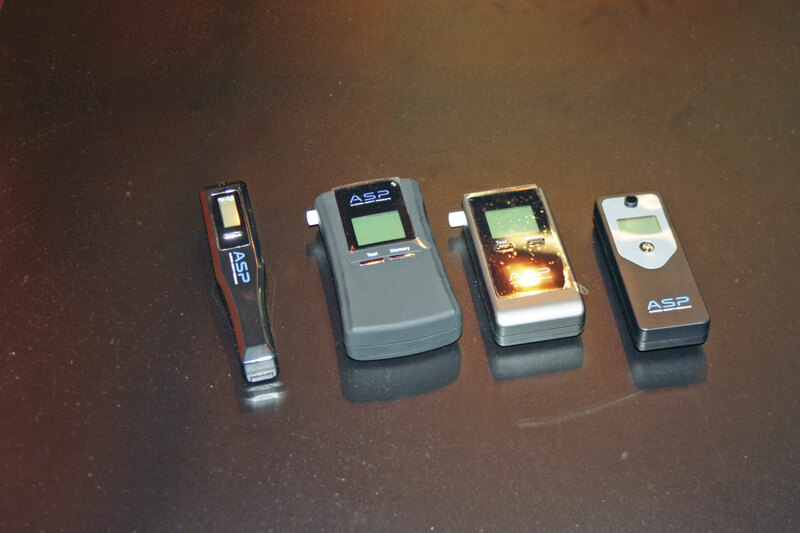 The hand held breathalysers use alcohol specific electromechanical fuel cell technology. There are four models in the collection, each with different specifications to suit differing needs. These units are in addition to the company’s in-vehicle and in-depot alcohol breathalyser systems. Backeye 360 is Brigade Electronics’ new 360degree camera monitor system. Designed to eliminate hidden blind spots, providing a 360degree surround view of the vehicle to drivers. The system incorporates four cameras covering the front, rear and sides of the PSV. The images are then ‘stitched’ together to form a bird’s eye view. The company’s Backeye 360 Select system has the added extra of presenting the bird’s eye view alongside the shot from one of the individual cameras, determined by the manoeuvre being executed. Continental was highlighting the latest developments in its VDO range of tachograph equipment. The company launched its new DTCO 1381 2.1 digital tachograph, featuring a GPS receiver to produce vehicle location data. The system integrates with the new ‘One Minute Rule’ for optimising drivers’ time. It can be used with the firm’s DTCO SmartLink Pro and VDO Driver app. SmartLink is plugged into the tachograph and provides a direct connection via Bluetooth between the tacho’ and the driver’s smartphone. The mobile device can then be used as a remote control for the tachograph, as well as providing them with driving and break times on the phone. This can also link in with the business’s TIS-Web, which now has an app to link it in with the tachograph management system via a smartphone. Yet another product displayed by Continental was the ProViu ASL 360 Surround View System. This device consists of a number of cameras situated around the vehicle, which provide a 360 view around the PCV, displayed on the driver’s in cab screen. A new cyclist detection system was exhibited, called Cycle Alert. 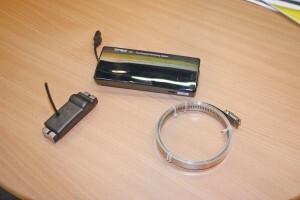 The system comprises of three units: a bicycle tag, a sensor on a vehicle and a dashboard receiver. When the vehicle sensor detects a tag, it relays a message to the dashboard receiver, which produces an audible warning and displays the cyclist’s position on a screen. According to the company, it can be used on any vehicle and in any weather conditions. Battery care technology specialist, CTEK, was promoting the benefits of better battery maintenance. The company also launched its new MXTS 70/50 dual voltage (12v and 24v) lead acid battery support unit and smart charger that can provide up to 70amps. The fully automatic eight step charger delivers selectable modes for optimal battery size adaptation, as well as a temperature sensor designed fir optimised charging at all times. It also has an integrated USB port for parameter upload. Look out for more on CTEK in a future issue of B&CB. 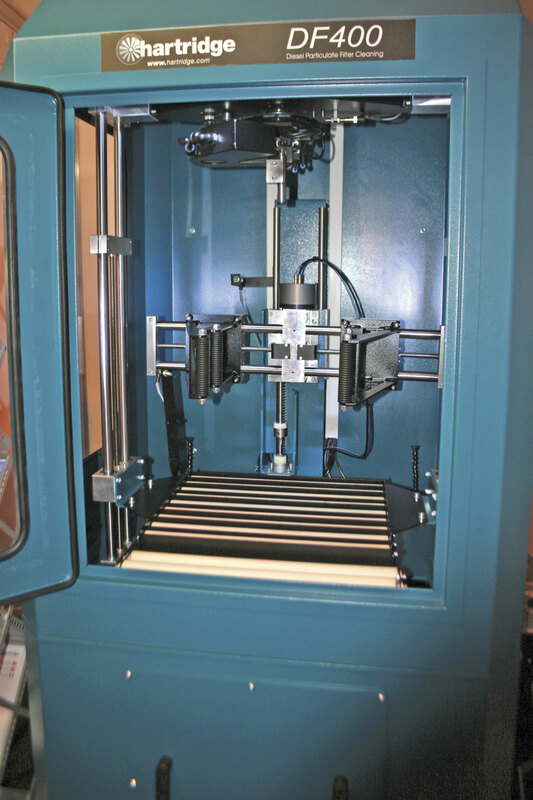 An innovative piece of technology was launched by Hartridge. 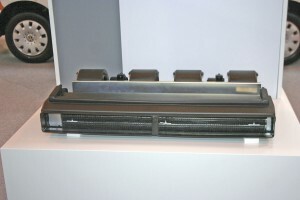 The company had a prototype of its new diesel particulate filter (DPF) cleaning system on show. Designed to be fitted in a fleet’s workshop to enable the exhaust systems to be cleaned in house to save on contracting the work out to often expensive third party specialists. According to the company’s marketing material, the device should remove 99% of ash with a short cleaning cycle of 30 to 60 minutes. A new product in Intellitec’s Battery Guard power management system range was displayed. The products are supplied as complete kits and help ensure batteries do not go dead. The systems can be programmed to give audio and visual alarms if a battery is left on without the engine running. Making its European debut was MiX Telematics’ new generation MiX Fleet Manager. The system forms a key element in the MiX Telematics’ Software-as-a-Service (SaaS) delivery model. It features a powerful, latest-generation onboard computer developed from the tried, tested and proven MiX Telematics FM solution. Data captured by the computer is relayed to DynaMiX, a new online software and reporting suite designed to be clear, intuitive and simple to use across all internet-enabled computer, smartphone and tablet platforms. 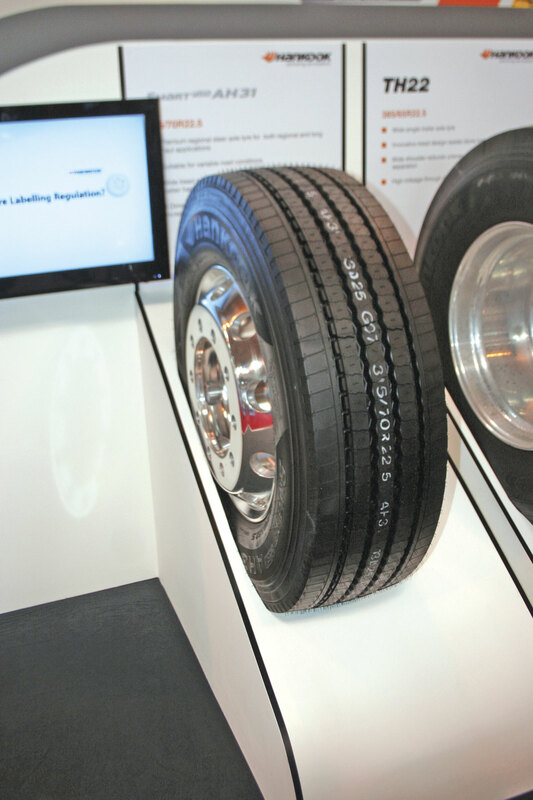 New on RL Automotive’s stand was its tyre pressure monitoring system (TPMS). The solution is designed to save fuel, tyres and down time, providing early warning on abnormal tyre pressure and temperature. It involves installing sensors to each wheel, with data from each unit sent via a smart device and transmitter to provide real time monitoring. This data can be monitored remotely online, with alarms of any unsafe or uneconomical pressures in the fleet. Being revealed at the show was Stoneridge’s new tachograph, the SE5000 Exakt Duo2. As well as the existing ‘One Minute Rule’ and real time updates and countdowns, the device has the capability for operators to set how Period of Availability (POA) should be counted. Additionally, the company promoted its Duo Mobile app, which shows remaining drive, break and rest times on Android smartphones, as well as the Tacho Centre app for wireless download of digital tachograph data. It also provided information on its tachograph analysis software and download devices. TomTom Business Solutions, the CV arm of the satnav giant’s empire, was promoting its fleet management and tracking systems. Celebrating 20 years of business was TruTac. The company used the show to launch its new Driver Calendar, which forms the core of its TruControl analysis software, which can be used on mobile platforms. Another update of TruControl is a new Driver Calendar. The has had its reporting suite updated too, with the ability to add logos for consistent branding, as well as providing more in depth trend reporting options. The company also highlighted the fact it has maintained its very first customer over its 20 years, Epsom Coaches. A special offer of £10 off per day for bookings of five days or more of easyCPC’s Driver CPC training. The company offers the courses from £35 per day for the periodic training. It can carry the classes out from various locations through the country. Dressed as doctors, the team from Novadata were hard to miss. They were promoting its compliance health check service and compliance friendly products. The company will be highlighting its new Operator Compliance Record Sheet book. ‘Is you fleet ready for another bad winter?’ was the message on AutoSock’s marketing material being handed out at the show. The company provides reusable tyre socks designed to move vehicles on snow and ice, providing extra traction. Specially developed textiles are used to maximize dry friction. As well as a range of its tyres, Bridgestone was also promoting its tyre pressure monitoring system (TPMS). The company installs TPMS sensors on vehicles’ valves without having to remove the tyres and four receiver posts at the gates of a depot. When vehicles with the sensors are driven through the gates, the signal is picked up wirelessly, with any details of under or over inflated tyres e-mailed to managers. Continental had news that its ContiBreakdownService was growing. The Service offers national coverage across the UK and Ireland, around-the-clock, 365 days a year. With a UK-based hotline and a fixed price policy, it is backed by the strength and reach of the Conti360 Network and is provided by over 300 audited tyre service points with more than 700 mobile service vans. As a result of this, it is able to guarantee fleets a drive on time of less than 2.5 hours in the UK and Ireland. Goodyear promoted its range of tyres. For coach applications it supplies the Marathon Coach and for winter conditions, the Ultragrip Coach. Of particular interest on GT Radial’s stand was the GAU861 all position urban bus tyre, which has been designed with an extra reinforced sidewall protector. The M+S marked product has a 20.2mm depth tread pattern to ensure good mileage combined with comfort and reduced noise. The company also made the European debut of its GSR225 Combi Road, the latest generation of its steer axle tyre for regional and long haul applications. For coaches, Hankook had its all season SmartFlex AH31 steer axle tyre on show. Designed for a convenient/strong usage on various road conditions while operating on long and regional distances, the pattern has a wide tread and shoulder design, along with three dimensional kerfs to ensure longer mileage, good handling performance and minimised irregular wear. There were also details of the company’s 24 hour breakdown service available too. Making its trade show debut was Michelin’s new 315/80 RR 22.5 X Line Energy range. 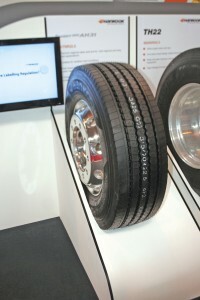 The new tyre is available as either Z multi-position or D drive-axle fitment. They are designed for long distance travel. Compared with the manufacturer’s previous generation, this new model should last up to 5% longer for drive axle tyres and 14% for the multi-position version. They also feature TowerPump sipes for improved grip and tear resistance. In addition to this, it showed its 215/75 R 17.5 X Multi D drive tyre for midicoaches and its 235/65 R 16 Agilis+ and 235/65 R 16 Agilis Alpin for minibuses. The company also launched its 24/7 breakdown service. An interesting device on display was Onspot. The system can be retrofitted to vehicles, enabling a set of spinning chains to be lowered beneath the wheels designed to provide more grip. Originating from Sweden, the system has been installed across the globe, notably on American school buses. Where can I get a good second-hand Sat Nav for Coaches and Buses?